A pioneering physician looks back on one of the most important achievements of his life. Why was Renal & Urology News eager to interview someone who is neither a practicing nephrologist nor a urologist? Quite simply, we wanted to learn about the person who was responsible for one of the most important treatment advances in the history of dialysis: the Cimino-Brescia arteriovenous (AV) fistula. Developed 40 years ago by Dr. Cimino and his colleagues Michael Brescia, MD, and Kenneth Appel, MD, the AV fistula is still among the most popular methods of vascular access for hemodialysis in the world. Dr. Cimino didn’t set out to become a hemodialysis pioneer. In the late 1950s, there were very few trained nephrologists and no board of nephrology. The newly minted physician—a graduate of New YorkUniversity—was planning a career in pulmonary physiology. After finishing a residency in internal medicine in Buffalo and completing a stint as chief of medical services at Orlando Air Force Base Hospital, however, Dr. Cimino wanted to move back to the Bronx, where he was raised. At 32, he was married and had three young children, and his father had just died. So when the BronxVeteransAdministrationHospital offered him a job setting up a dialysis unit, he was tempted. Although the Bronx VA hospital planned to use the dialysis machine to treat patients with acute renal failure and poisoning, Dr. Cimino agreed to take the job only on the condition that he be allowed to establish a chronic dialysis program. “I believed the chronic program had a great future, and I didn’t think we could keep a team of experts waiting around to handle just three or four poisonings a year,” he explains. The Bronx VA hospital agreed, and Dr. Cimino and a colleague, Ruben Aboody, a technologist, began dialyzing patients at the bedside, then in a partitioned area in the corridor of the third-floor medical unit using a Kolff twin-coil artificial kidney. Dr. Cimino and Mr. Aboody dialyzed their first chronic renal-failure patient in December 1960, gaining vascular access to the man’s circulatory system by repeatedly inserting cannulae into his blood vessels. Unfortunately, the patient survived only a few days. “Vascular access was the Achilles heel of chronic hemodialysis,” Dr. Cimino says. Back then, he explains, an artery and a vein were damaged every time the patient was hooked up to the dialyzer. 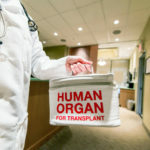 A patient could receive only about half a dozen treatments before doctors would literally run out of places to connect a vessel to the machine. The external shunts were also difficult for patients to tolerate psychologically. Those who lost one felt that their ‘lifelines’ had been cut off and often became severely depressed. Moreover, a lost shunt meant hospitalization and a painful, expensive recannulation procedure. In 1961, Dr. Brescia joined Dr. Cimino and Mr. Aboody as a third-year resident. They tried this vein-to-vein dialysis approach in several patients. While the team had some modest success with this method, the 250 to 300 cc/min blood flows necessary for optimal dialysis could be sustained only when patients were either overhydrated or in congestive heart failure. The technique was reported in the New England Journal of Medicine in 1962. Dr. Cimino began to wonder whether the vein-to-vein technique could be salvaged if he and his colleagues could take advantage of the rapid blood flow and accompanying venous distention that occurred in the presence of a surgically created AV fistula.